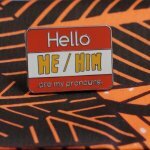 Order your My Pronouns pin today! 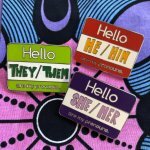 This cutie tootie 1.75" wide enamel pin can be lovingly displayed on bags, clothing, or conference lanyards. 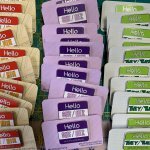 Heyyyyy! 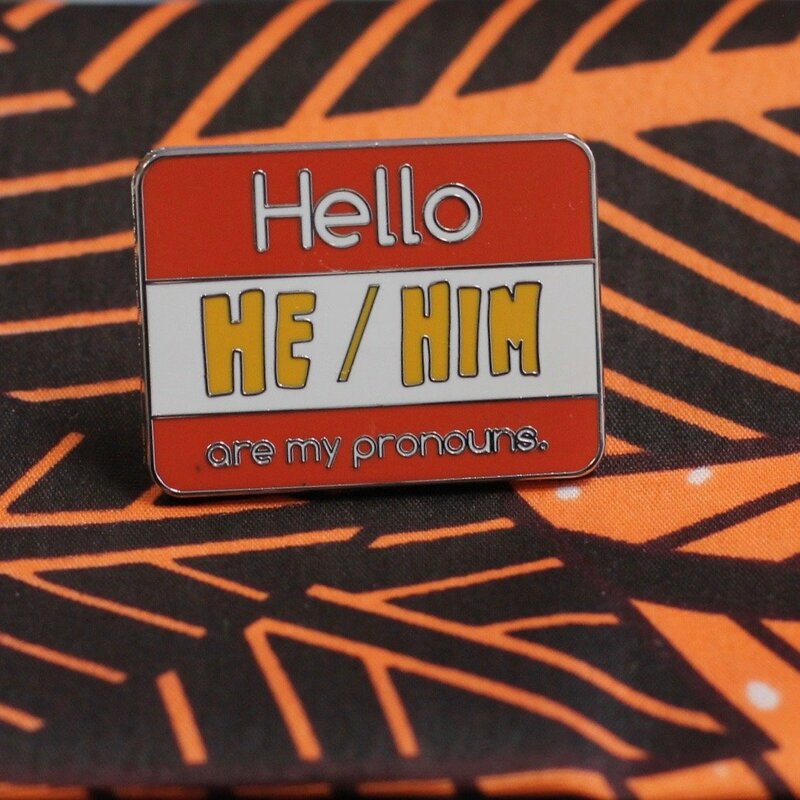 It's a snappy way to convey your chosen pronouns to the world. 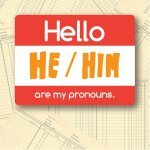 We adopt the HRC belief that using a person's chosen name and desired pronouns is a form of mutual respect and basic courtesy.